In Singrauli, the air hangs thick with fumes of sulphur dioxide, nitrous oxide and other chemicals. Chimneys dotting the landscape spew dark grey smoke and the surrounding hills wear a barren look. The Singrauli region, on the border of Uttar Pradesh and Madhya Pradesh is prominent on the industrial map of India for its abundance—5.2 billion tonnes of proven reserves—of power grade coal. National Coalfields Limited (NCL), a subsidiary of Coal India, one of the largest producers of this mineral in Asia, is based here. With its close proximity to the Rihand Dam, Singrauli is an ideal location for setting up high-capacity power plants. The region, termed as the ‘Energy Capital of India’ generates over 12% of the country’s power. It is the location for the National Thermal Power Corporation (NTPC), as well as thermal power plants run by Essar, Reliance and Hindalco to name a few. With coal power, however, comes the attendant environmental damage. Less than half of the 3,458 square kilometres of coal fields remains under forest cover. Hundred-year-old forests have been cut down in large-scale deforestation operations, causing not only the repeated displacement of the tribal populations, but also the annihilation of wildlife that existed in these forests. Tigers once freely roamed these lands; locals now report only occasional sightings as their habitats are systematically destroyed. But the National Thermal Power Corporation (NTPC), one of the many companies operating in the region, cannot be accused of ignoring the area’s biological diversity. 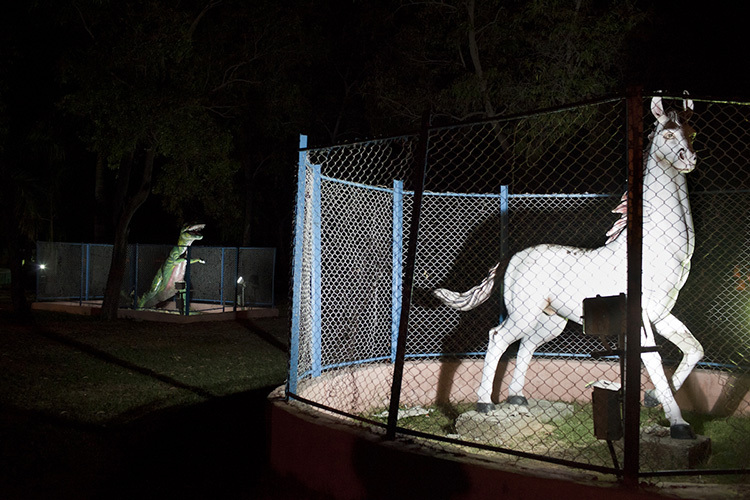 In one park in the NTPC township in Singrauli, the authorities have set up a unique zoo. 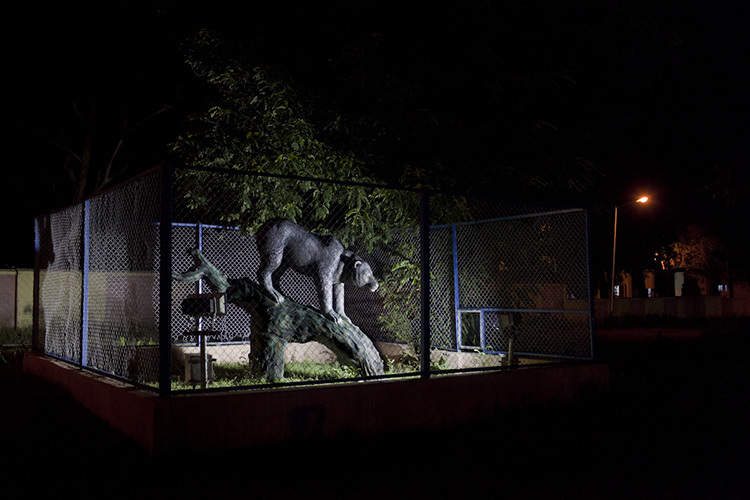 Unique because its specimens are made of concrete and plastic—artificial animals confined, for some reason, in cages. Is it perhaps to avoid further human encroachment or vandalism? 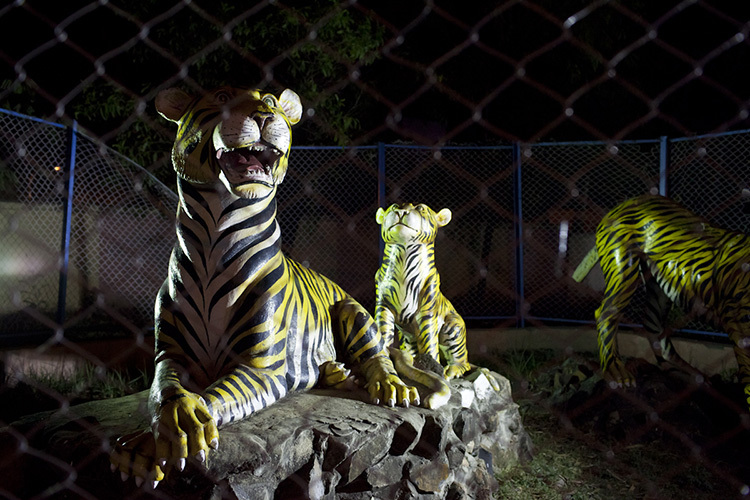 There is the tiger, the leopard, the elephant—inanimate captives of the men who drove them away. There is also a roaring Tyrannosaurus rex, possibly symbolising the dinosaur-like status of coal production in the energy-strapped 21st century. The irony of replacing natural habitats with plastic artefacts is a bizarre if not cruel indication of all that has been lost. It is a gloomy reminder of the estranged relationship that now exists between man and the wild.